FAST FREE SHIPPING directly from our store here in the United States. 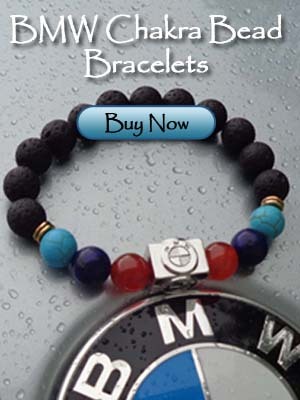 Display your spiritual love for the Ultimate Driving Machine with this beautiful BMW black lava chakra bead bracelet. Manufactured with a heavy duty, one size fits all inner elastic band. 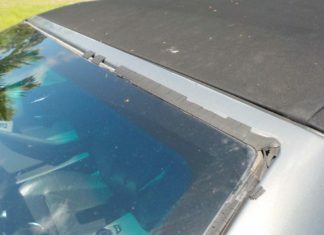 Manufactured exclusively for the BMW Repair Guide. Thirty (30) day return policy if you are not completely satisfied with our product. 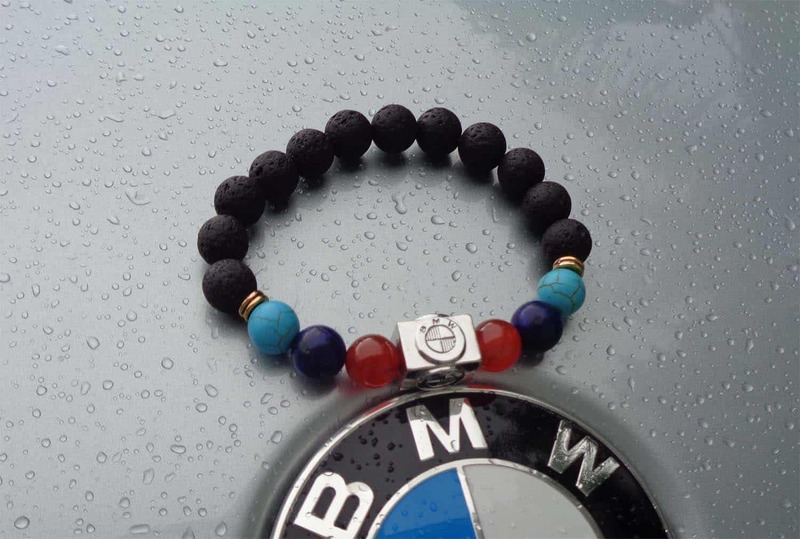 The BMW black lava chakra bead bracelet was designed by the BMW Repair Guide and is manufactured exclusively for our company. It cannot be found in any other store. 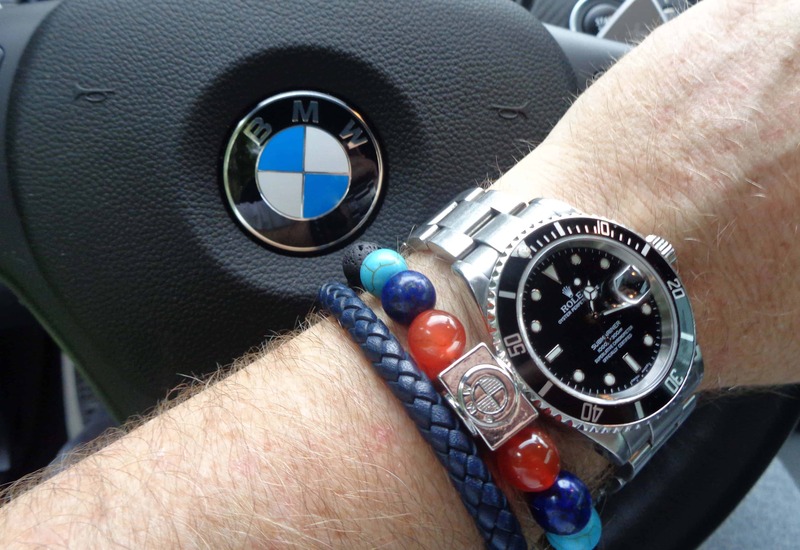 The center charm is machined out of solid polished steel and embossed with the BMW roundel on all four sides. 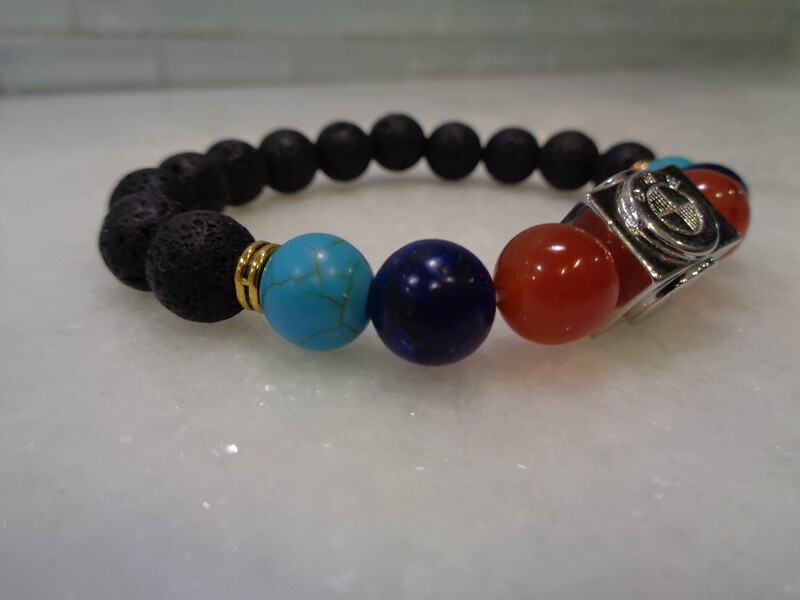 The charm is surrounded by twelve black lava rock stones signifying strength, courage, and our connection to the Mother Earth we drive upon. 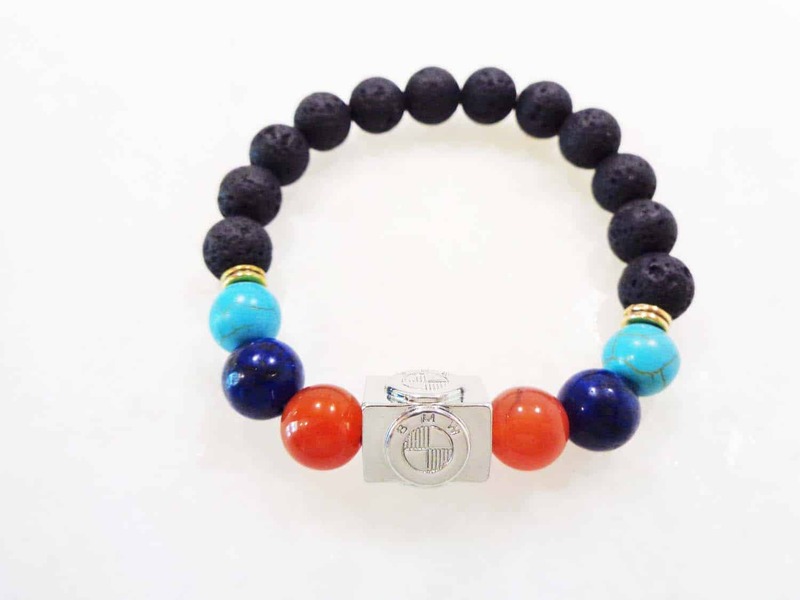 Red Bead – The 1st or root Chakra. A very physical color, the red Chakra promotes survival and instinct, and arouses feelings of alertness and primal discipline. 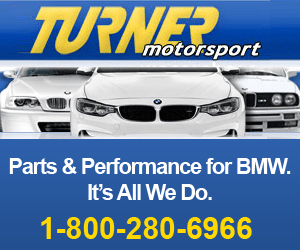 These feelings are often experienced by a driver when pushing a BMW to its mechanical limits. Located at the base of the spine, this Chakra connects the driver to the car through the seat. Blue Bead – The 5th or throat Chakra. Centered between your collarbones, the blue Chakra fosters feelings of intelligence, logic and efficiency. These feelings are directly associated with safety, rational driving and obeying the rules of the road. Located in the lower throat area, this Chakra is triggered when fastening your BMW seat belt and breathing deeply. Indigo Bead – The 6th or Third Eye Chakra. A very spiritual color, the blue Chakra promotes feelings of wisdom, extreme self awareness and peace. That perfect drive on a winding mountain road is a great example of the feelings roused by the blue Chakra. Located slightly between your eyebrows, the blue Chakra can be triggered by the feel, handling and smell of your BMW and can bring the driver great happiness and joy while driving. This gorgeous BMW Chakra Bead Bracelet is on sale in our store in Vero Beach, Florida.